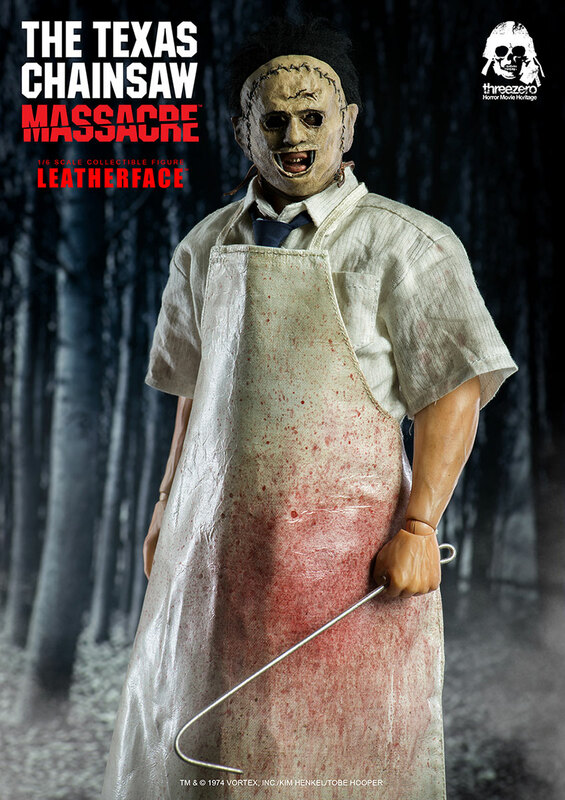 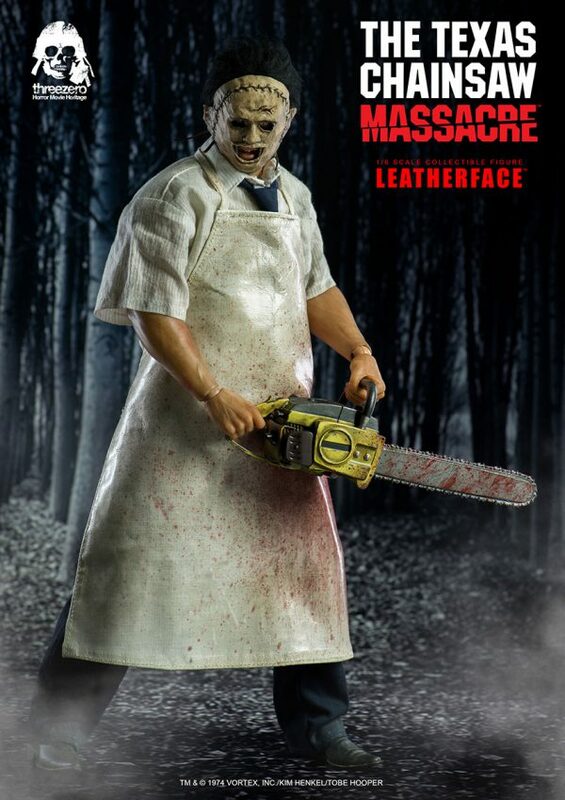 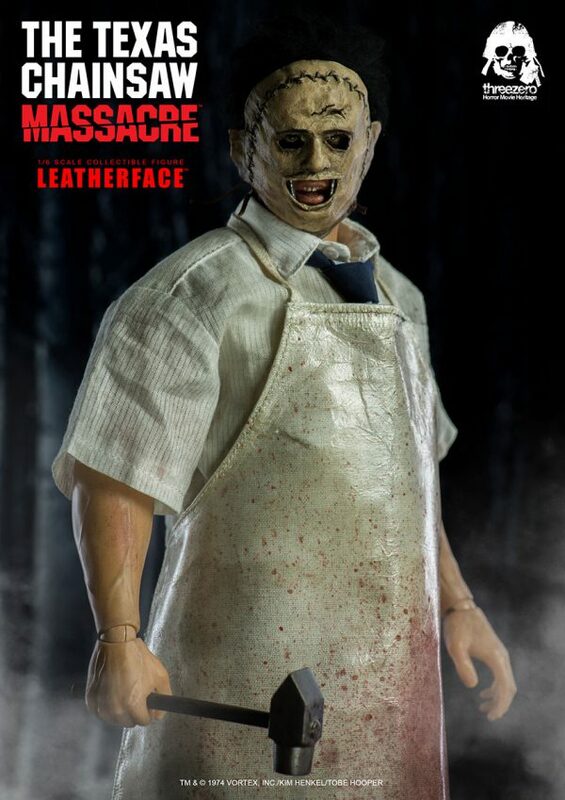 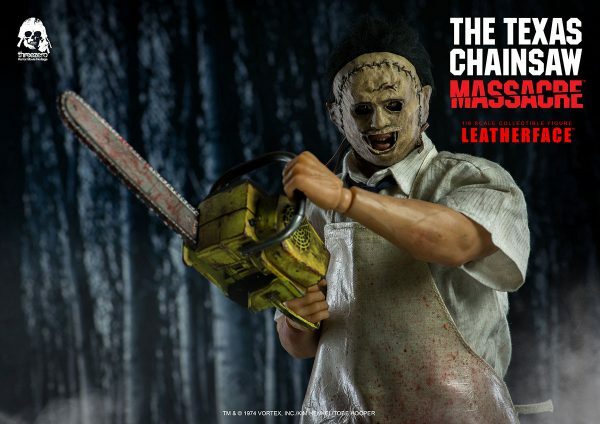 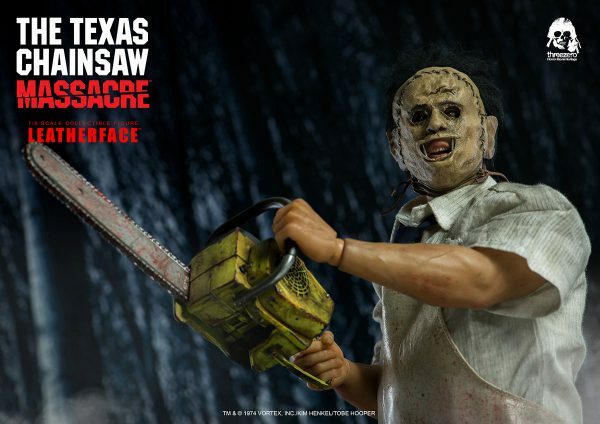 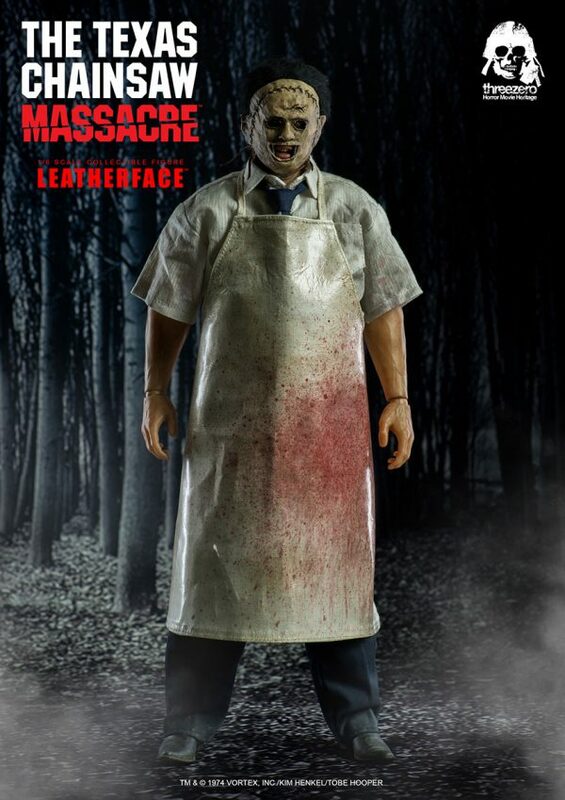 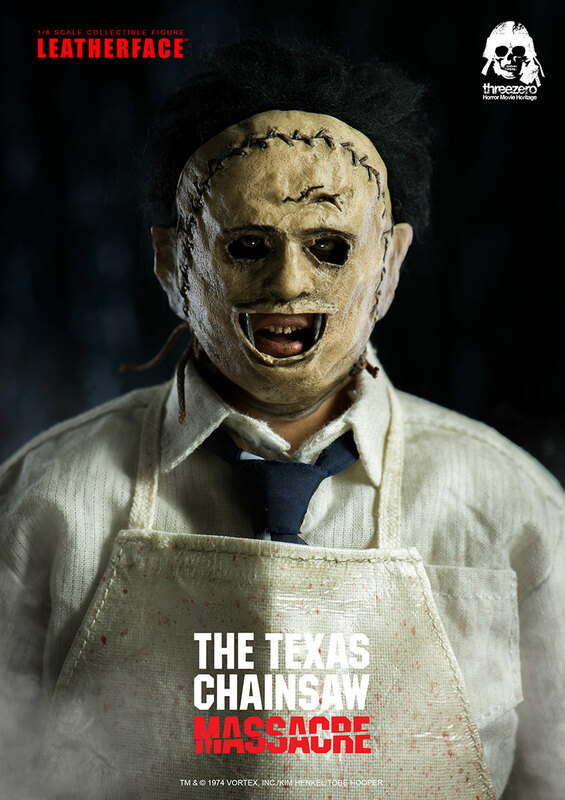 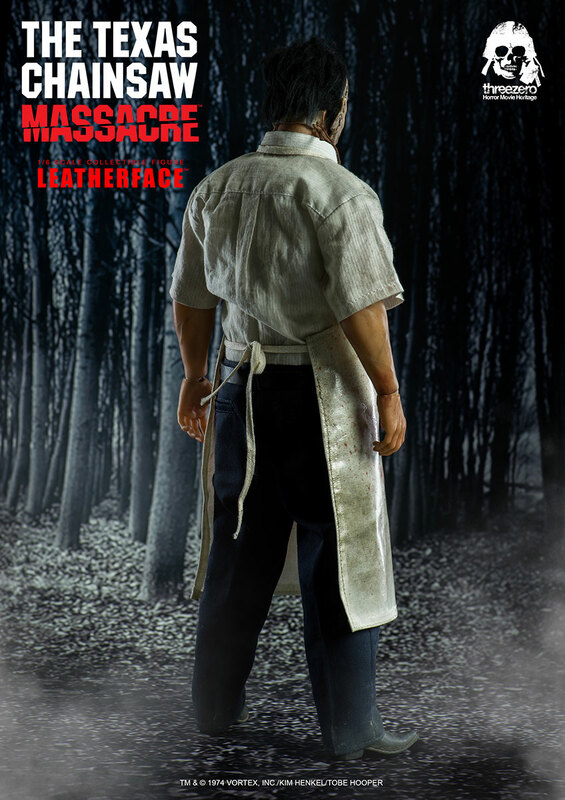 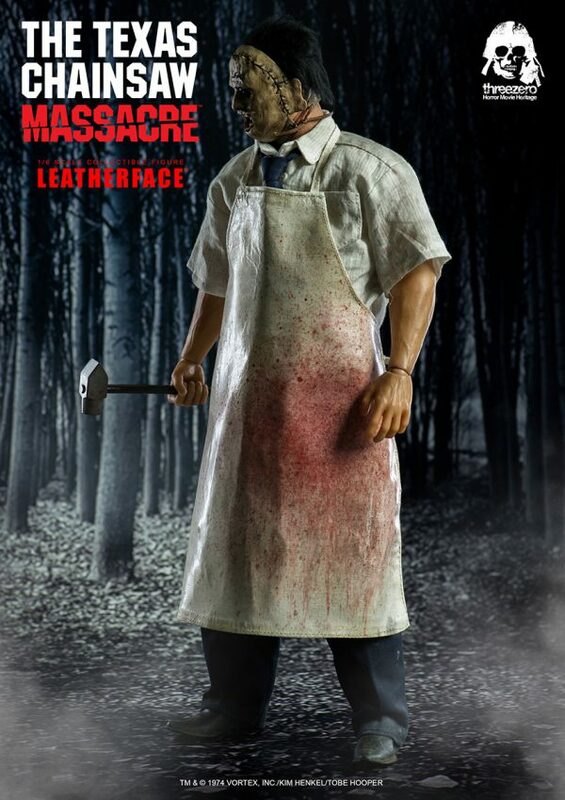 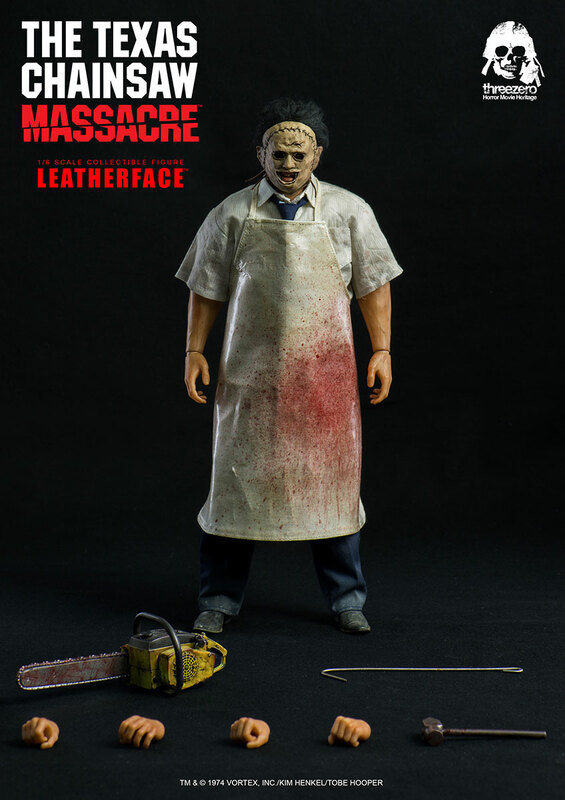 The Texas Chain Saw Massacre – 1/6 Leatherface collectible figure is available for pre-order at 168USD / 1310HKD with Worldwide shipping included in the price. In addition we will have threezero Official Website exclusive version which comes with extra accessories for 178USD / 1385HKD with Worldwide shipping included in the price. All Leatherface collectible figures purchased at our online store will be coming with free t-shirt with threezero Horror Movie Heritage print. 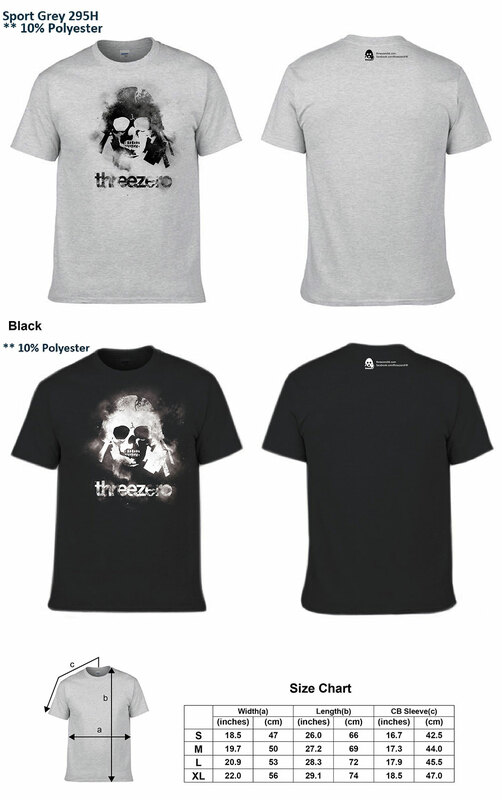 Please choose your preferred color and size during the purchase. 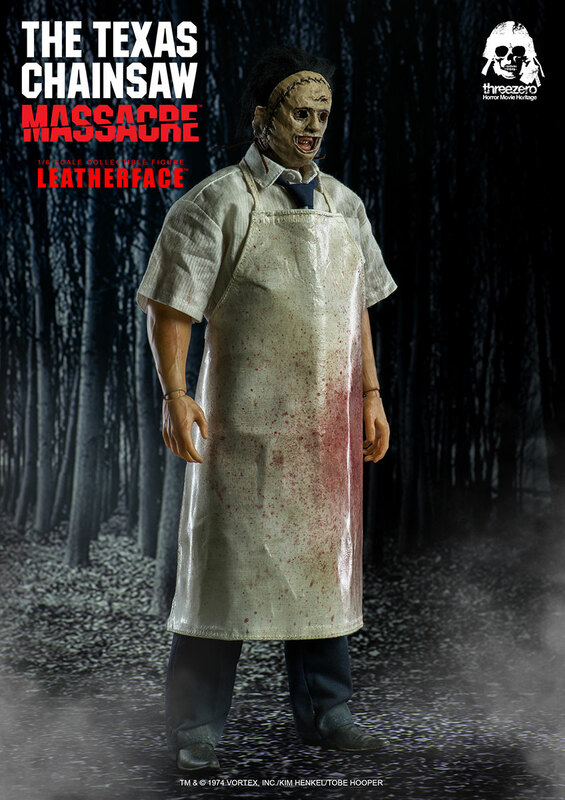 Leatherface collectible figure stands approximately 12.6” (~32cm) tall, it’s fully-articulated and highly detailed collectible, featuring realistic likeness based on the 1974 cult horror film “The Texas Chain Saw Massacre”, Dark Fabric Hair Implantation and signature Gruesomely Authentic Sculpted Mask. 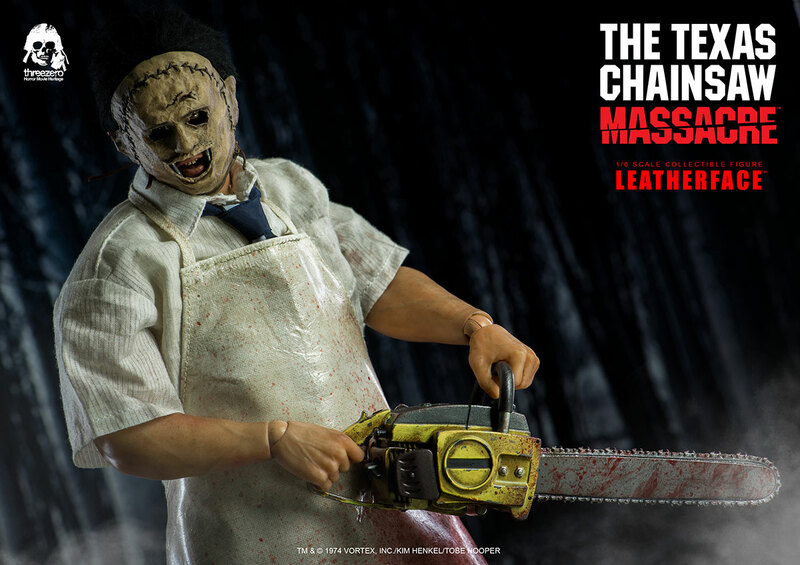 Collectible figure comes with Tailored and Weathered Clothing: Necktie; Short Sleeve Shirt; Apron; Belt; Pants; Boots and variety of Weapons: Chainsaw, Hammer, Hook and Multiple Exchangeable Hands. 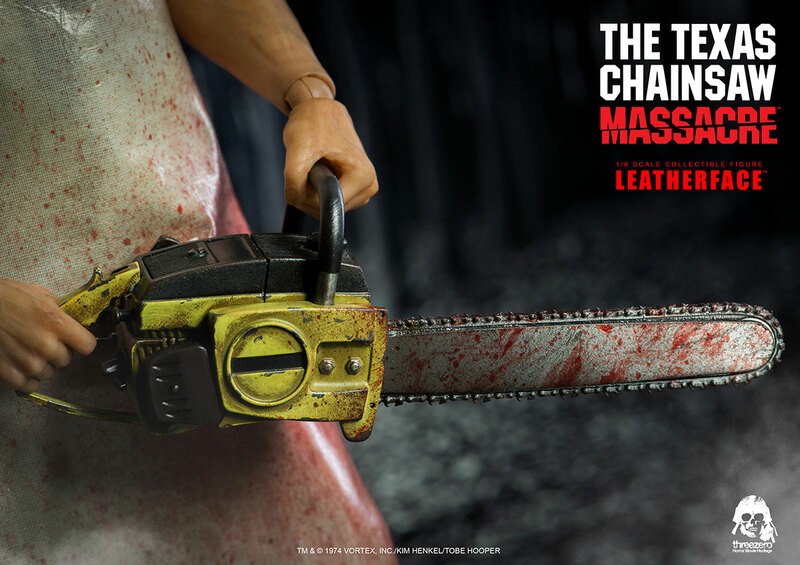 One right Hand for Gripping Chainsaw.